Some of us are back sleepers, some use the starfish, and the list goes on. The act of choosing a sleep position each night is something most of us don’t consciously think about before shut-eye. We simply close our eyes and doze off into dreamland. But what if we started really paying attention, making the conscious effort to sleep in certain positions? Well it turns out there are sleep positions that can help us achieve optimum health. Research suggests that for many people, sleeping on the left side may be an optimal position for health as well as better sleep. This theory originated in India, stemming from Ayurveda (the traditional Hindu system of medicine, based on the idea of balance in bodily systems). Sleeping on your left side is believed to be good for digestion, your back, as well as your heart, all based on the positioning of the human organs. Here are 6 potential benefits to sleeping on your left side. According to Ayurvedic medicine, your body is able to better filter lymph fluid and waste when you sleep on the left side. This is because the left side of your body is the dominant lymphatic side. On the other hand, sleeping on your right side can decrease the lymphatic system's efficiency. Western research has also found that sleeping on your left side helps the body process waste materials from the brain. Sleeping on your left side is better for digestion thanks to gravity. Food waste is more easily able to move through your digestive system. This sleep position also allows the stomach and pancreas to hang naturally (your stomach is on the left side of the body - See below image). Pregnant women have forever been told by their doctors to sleep on the left side to improve circulation to the heart. But for those of you who aren’t pregnant (or a woman) can still benefit from better circulation. Pressure is taken off the heart as gravity helps facilitate lymph drainage toward and aortic circulation away from the heart. For pregnant women, sleeping on the left side not only improves circulation to the heart but also helps to relieve pressure on the back, keep the uterus from squeezing the liver, and increases blood flow to the uterus, kidneys, and fetus. The Journal of Clinical Gastroenterology published a study that found that sleeping on your left side can help reduce acid reflux symptoms. The reason being once again that your stomach lies on the left side. If you’re suffering from back pain, sleeping on your left side may help you get a better night’s sleep as it relieves pressure on the spine. These are all great reasons for you to switch up your sleep position if you’re not already a left-side sleeper, but it’s important to keep in mind that this position is not beneficial to everyone (including those with heart disease, sleep apnea, glaucoma, and carpel tunnel syndrome). If you’re not sure what sleep position is best for you, it's best to consult a medical professional. And if you’re ready to make the switch, make sure you have a mattress that’s ideal for side sleeping. 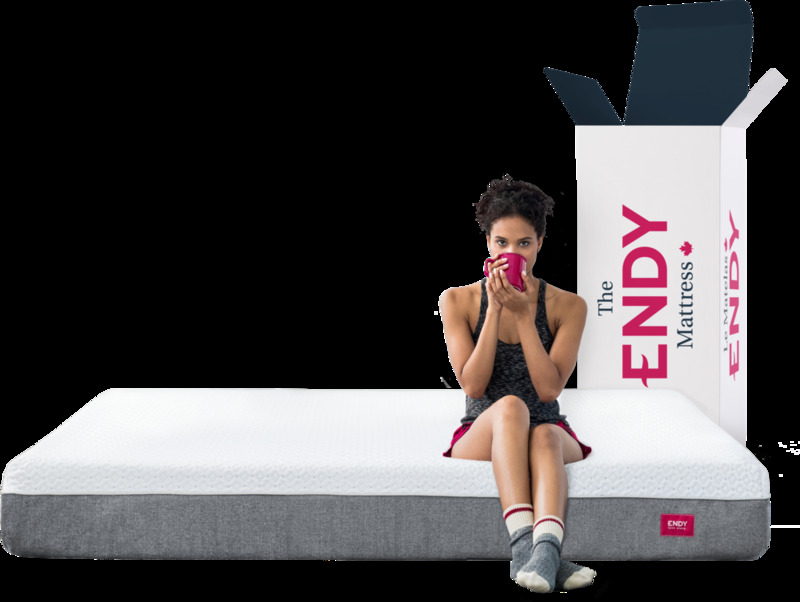 It’s important to have a mattress that’s not too firm or too soft, that will help relieve pressure on the hips and shoulders (we recommend an Endy 😉).